This article was published in the European Journal of Psychology & Educational Studies. Permission to reproduce was granted by the journal's Copyright policies. Context: The prescribing of exercise by physicians has become a popular practice, yet the effectiveness of exercise on symptoms of depression is difficult to determine due to a lack of randomized controlled trials with clinical populations. Reports also indicate that only a small percentage of physicians advise their patients regarding exercise and confusion still exists as to how much and what types are best. Aims: To understand the mechanisms that make exercise a viable treatment in depression. Settings and Design: This study employed a six‑week, two group, single‑level trial, pre‑ and posttest design using self‑report of symptoms, blood levels of serotonin, dopamine, epinephrine, and norepinephrine, and frontal slow wave EEG activity as markers. This study was registered with clinicaltrials.gov. ID# NCT02023281. Subjects and Methods: Eleven participants with a diagnosis of depression between the ages of 18 and 65 were enrolled from March 2013 through May 2013. Baseline and post‑intervention measures consisted of the Beck Depression Inventory‑II, blood serum levels of serotonin, catecholamines (epinephrine, norepinephrine, and dopamine), and mean alpha frequency. Statistical Analysis Used: A series of independent t‑tests for each dependent variable was conducted. Results: Independent t‑tests reveal significant between‑group differences in depression scores (P = 0.005, d = 2.23); F7 activity (P = 0.012, d = 1.92); and F8 activity (P = 0.04, d = 1.52). Conclusions: The results of this pilot study show that even mild to very moderate levels of exercise 2‑3 times per week consisting of alternating days of aerobic and strength resistance training can be effective in reducing symptoms of depression giving physicians concrete information for their patients on the prescription of exercise. Barclay TH, Richards S, Schoffstall J, Magnuson C, McPhee C, Price J, et al. A pilot study on the effects of exercise on depression symptoms using levels of neurotransmitters and EEG as markers. 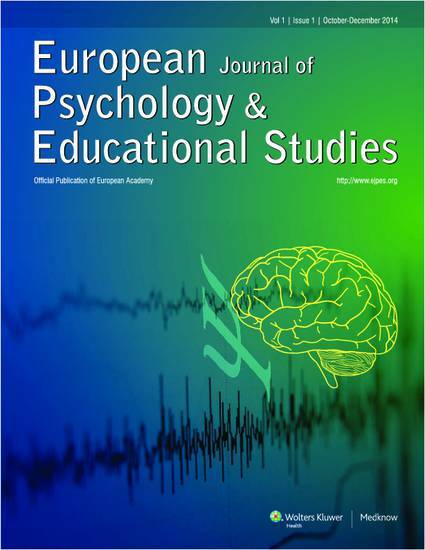 Eur J Psychol Educ Studies 2014;1:30-5.